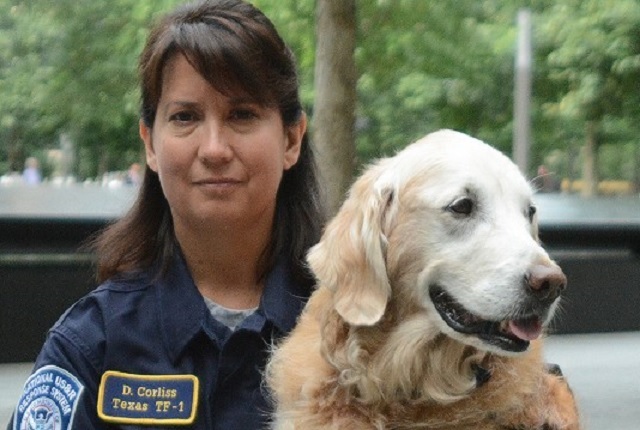 Meet Bretagne, the last known living Search and Rescue Dog from 9/11, and her handler and owner, Denise Corliss. Bretagne and Denise were both members of Texas Task Force One. They were part of the search and rescue team after the World Trade Center attacks in New York on September 11, 2001. Bretagne is a 16-year-old Golden Retriever. 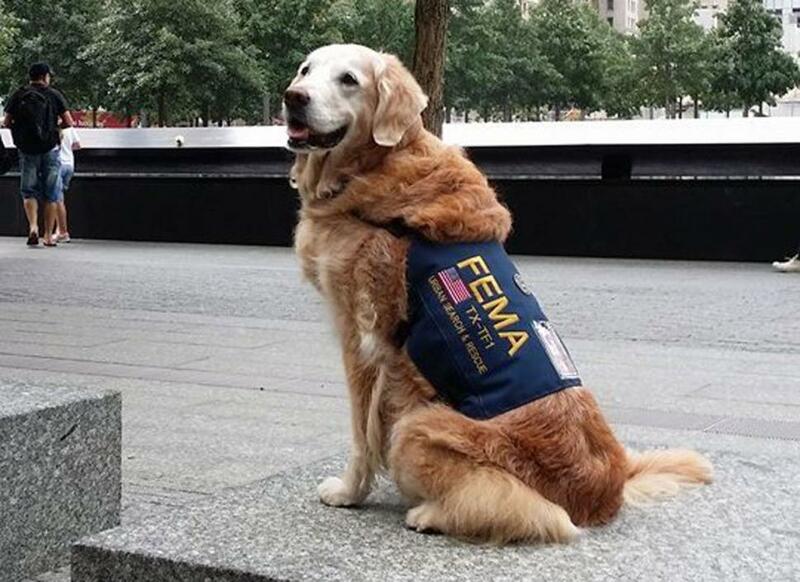 For her 16th birthday, she was recognized in New York for her search and rescue efforts after the attacks of 9/11. Bretagne was recognized in many ways during her visit to New York. Special thanks to 1 Hotel Central Park for a donation of $1,000 to Texas Task Force One for the training of future Search and Rescue Dogs. This is one video you do not want to miss!!! Thanks to all those involved in recognizing both Bretagne and Denise. Such a great video! I still remember where I was when it happened. Great video! 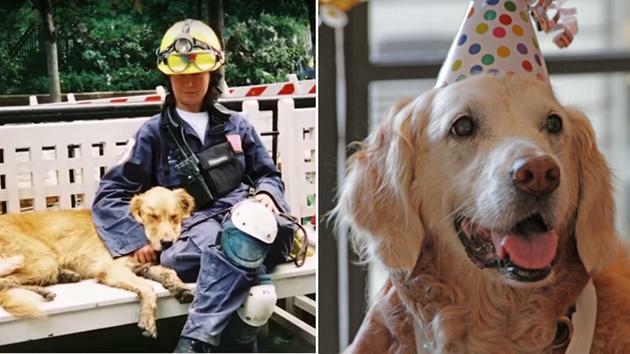 Perfect post for today, not many remember the rescue animals from 9/11. Wow, what a hero. I love the video. Perfect post for today. It seems like just yesterday, probably because it affected me so much! Love the dog! Great video. KUDOS to both of them. 9/11 we will never forget.